A water flow meter is an instrument capable of measuring the amount of water passing through a pipe and is installed on an individual water well. In January 2015, Madera County adopted Ordinance 13.101, Installation of Water Flow Meters and Water Level Meters Regulations and 13.28, Standards of Water Meters and Measuring Devices. 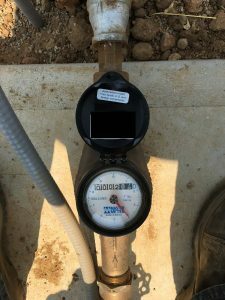 These ordinances state that for any new or replacement well drilled on a parcel, a water flow meter shall be installed for regulatory statistical purposes by the permittee. Please see the below hyperlink to view Madera County Ordinance 13.101 and 13.28. The Madera County Code states that each permittee shall submit readings from the installed water flow meter to Madera County Water and Natural Resources on an annual basis by November 15th and states the readings should be captured in October. Prior to the submission date, Water and Natural Resources shall send a letter to the permittee with the forms needed for submission. These forms are to update information regarding the site where the water flow meter is located as well as the readings from the water flow meter taken from the permittee. If you need information about drilling a new or replacement well please contact Environmental Health at 559-675-7823 or visit the website listed below for more information. The below hyperlink will give you the required documents needed to start the well process. 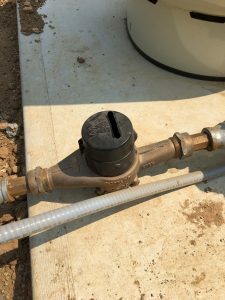 If you have drilled a new or replacement well since the ordinance has been in affect but did not complete the water flow meter process, please contact Environmental Health at 559-675-7823 for more information on how to come up to the Madera County Code or visit the website listed below for more information. The below hyperlink will give you the required documents needed to come up to code. If you have drilled a well and installed a water flow meter, no further applications are needed and the permittee shall receive a letter prior to the submission of their readings to be filled out and sent back to the address listed below or the address listed on your notice by November 15th of each year. If you have lost your form you can see the below hyperlink to print out a new form and send it to Water and Natural Resources.